What a difference a city makes. This weekend was packed with awards events thrown by local critics associations on opposite coasts, and it looks like the East has been more taken by Steve McQueen's "12 Years A Slave" than the West. The tough epic has long been considered an awards season contender, but it hasn't emerged as tough a competitor with critics circles. The Gotham Independent Film Awards passed it over in favor of quirkier fare, and the New York Film Critics Circle fell in love with Jennifer Lawrence and her "American Hustle." 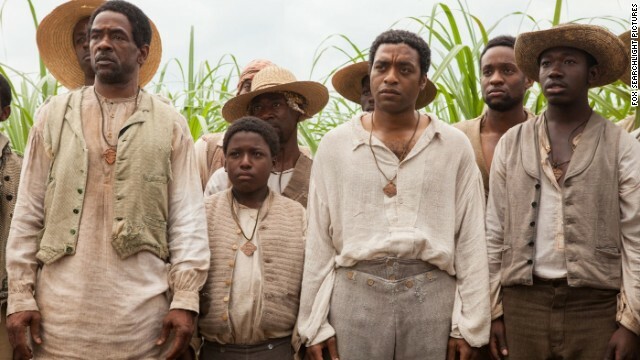 But out in Boston, the city's Society of Film Critics named "12 Years A Slave" the best movie of 2013. Star Chiwetel Ejiofor was picked for best actor, and McQueen was awarded the best director title. Proving just how exemplary this year's competitors are, there were similar ties in the best supporting actor and best actress categories: James Franco's portrayal in "Spring Breakers" was tied with Jared Leto's in "Dallas Buyers Club," and Cate Blanchett ("Blue Jasmine") and Adèle Exarchopoulos ("Blue Is the Warmest Color") share the honor of being the LA Critics' best actress of 2013. You can check out the full list of winners from the Boston Society of Film Critics and the Los Angeles Film Critics Assocation here and here.